In February 2012, Mohammed Hosenbocus died following a muscle tumour in the face that had spread to the rest of his body. For his parents, Hoosna and Jiade, Mohammed’s death meant an end to the many familiar faces surrounding them and their son during his treatment and until his death. Rainbow Trust is the only organisation that continues to support the Hosenbocus family, including brother Fardeen (11) and sister Haagra (six), beyond Mohammed’s death. Families tell us how difficult it is when many of the professionals who supported them move on to work with other families after their child dies. Rainbow Trust’s support is not time limited and does not end after a child dies. We know that families may need support for months or years, and their continuing contact with the Family Support Worker who knew their child, brother or sister is invaluable. The Hosenbocus family was introduced to Family Support Worker Zak before the family received the devastating news that Mohammed’s tumour had spread. Zak spent time with Fardeen and Haagra, preparing them for their brother’s death, taking them to the park and giving them valuable time away from the family home. Family Support Workers are skilled in responding to each family to meet their individual needs. They help parents face going back to work, preparing them for the many questions they will deal with and providing support for families on the anniversary of their child’s death. When brothers and sisters are ready to return to school they may ask their Family Support Worker to visit their school with them to talk to teachers and classmates. Since Mohammed’s death Zak continues to visit the family spending time with Fardeen and Haagra to help them understand and cope with their brother’s death and share memories of Mohammed. 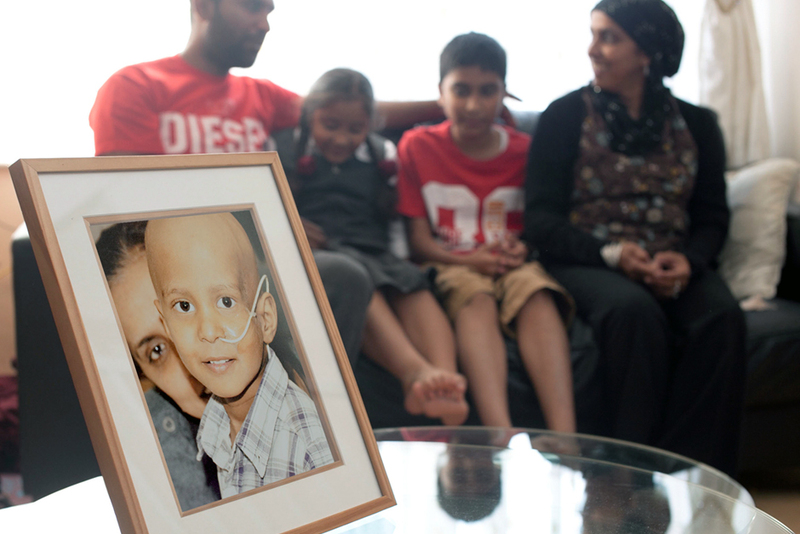 The family continues to grieve for Mohammed with the continued support of Zak. Molly Poole, was diagnosed with a brain tumour that had been there since she was eight months old.